Since we verge upon the beginning of a new season, it’s high time for me to give you my opinions on the eight shows I watched. If not for The Banner Saga sucking me into its world, this post would no doubt have been published sooner. But, anyone with a love for the Viking age, RPGs, and games of frustrating difficulty would be sucked into such a beautifully animated game! But, let me go on to my ratings. As you know, I forbear from rating a show until seeing how it ends. 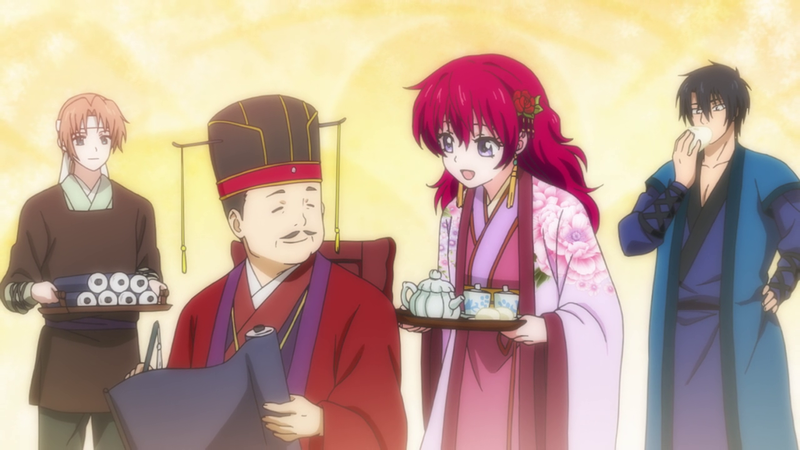 Akatsuki no Yona boasts some great characters, beautiful backgrounds, good fights, and great comedy. It also engages some interesting moral themes. However, its vexatious and profuse use of flashbacks would earn it a three star rating if I were to rate it now. The audience does not need to have complete knowledge of each character’s backstory! Other than the Blue Dragon’s, they all contain information we’ve gleaned through watching the interaction of the characters in the present. By resorting so frequently to this device, the writer gives the impression of being far too timid or greatly underestimating the audience’s powers of deduction. 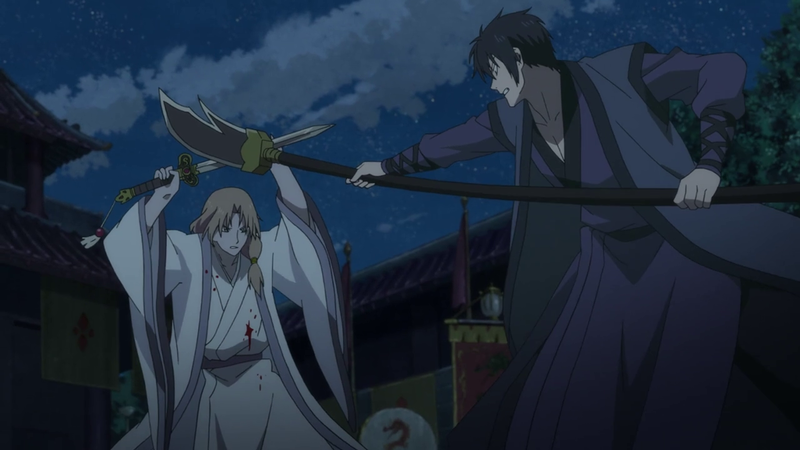 Despite how the flashbacks slow the pacing, I love this anime, and look forward to more of Yona’s struggle to become a worthy leader, Yun’s sarcastic remarks, Hak’s relentless teasing, and the final battle between Soo-Won and Yona. 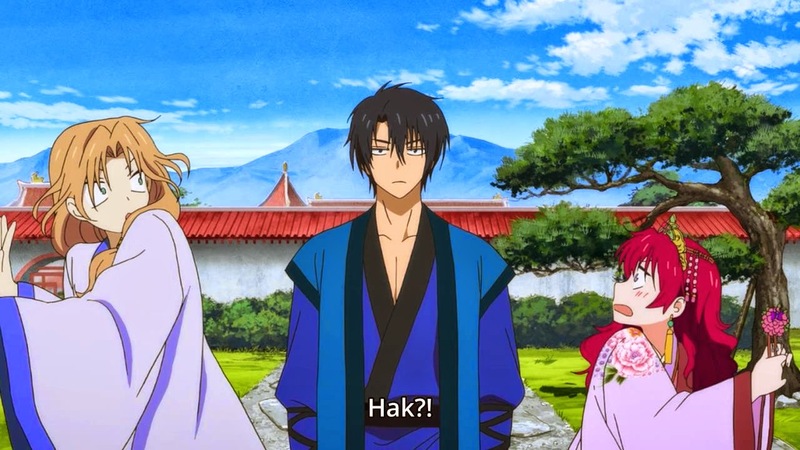 Hak is hands down the best male character this season. 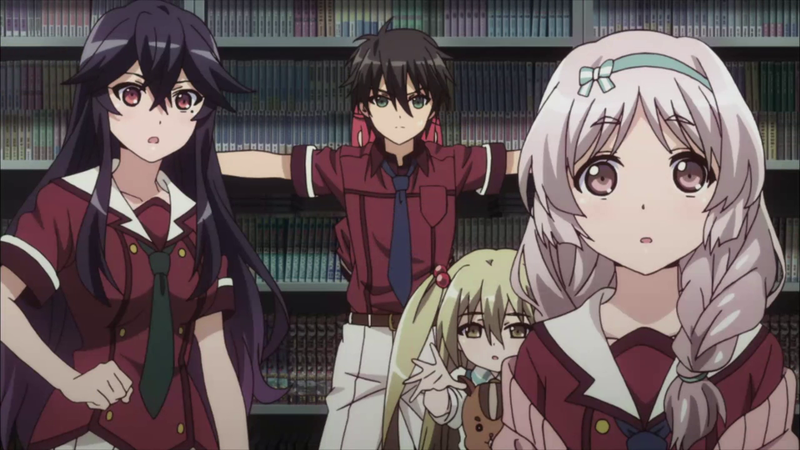 Kudos to Trigger for making what should have been a dull and forgettable harem story into a fun and sensitive tale of high schoolers with supernatural powers. A friend of mine has noticed that it did not know whether it wished to be a fantasy, harem, or slice of life story. I must agree: the story went all over the place. Many episodes ignored the fantasy elements entirely, and the premise of fairies giving certain people supernatural powers for their entertainment seemed rather thin. Only the last episode weaved in all these elements successfully. Don’t dare to trifle with Hatoko! It saddens me that this sequel cannot be rated higher. The original show came to be my favorite of 2013, after all! The second season has an incredibly exciting middle but failed to separate itself more sharply from the plot of the first and gave us a dull ending–I almost want to call it a non-ending for how many loose ends it left us. 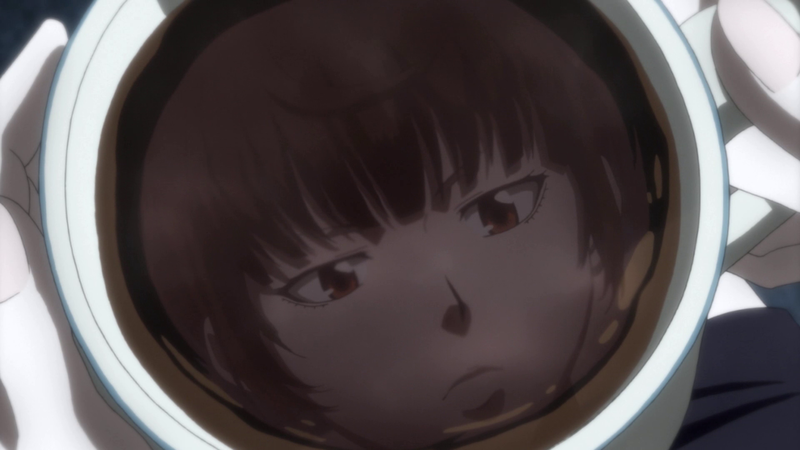 People want to blame Tow Ubukata for how Psycho-Pass 2 fell flat, but the studio’s wish to create a movie afterwards likely limited Ubukata’s options for the kind of ending he could make. For me, a satisfying ending to the second season would necessarily have involved Akane Tsunemori toppling the false god of the Sybil System. But then, the studio could no longer make money on this franchise, could they? 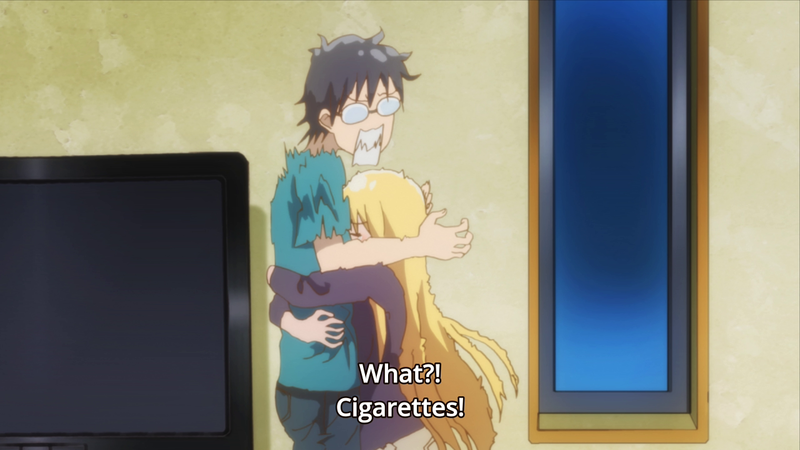 And Shimotsuki wins the award for most pathetic character this season. Somehow, I could not hate but only despise this treacherous sycophant of the Sybil System. Others may be surprised by how high this series is rated here, but the main characters related to me very well. Also, this comedy caused me to laugh so hard that I nearly fell out of my chair once or twice. The show also surprised me in the sensitive way it handled the issues facing young people in Japan over whether to marry and have children. 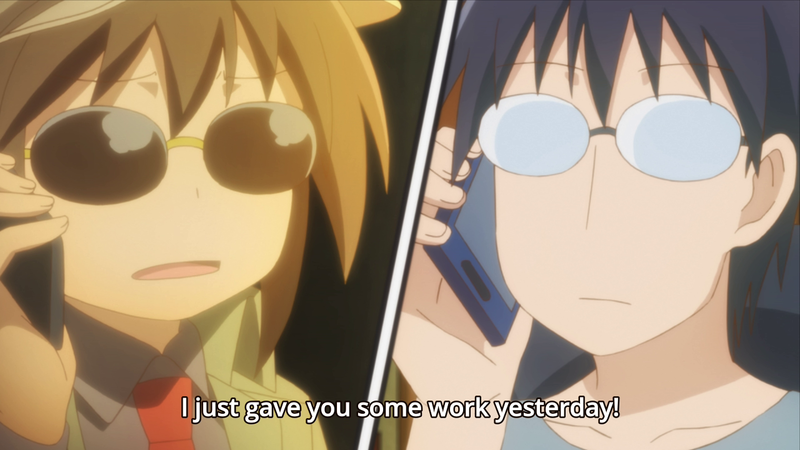 Danna ga Wakaranai is not as epic or complex as other anime, but it knew what it wanted to accomplish each episode, executed the stories well, and even developed the characters more in 39 minutes than many series accomplish in twenty four episodes. Who knew a series of shorts could boast dynamic characters? 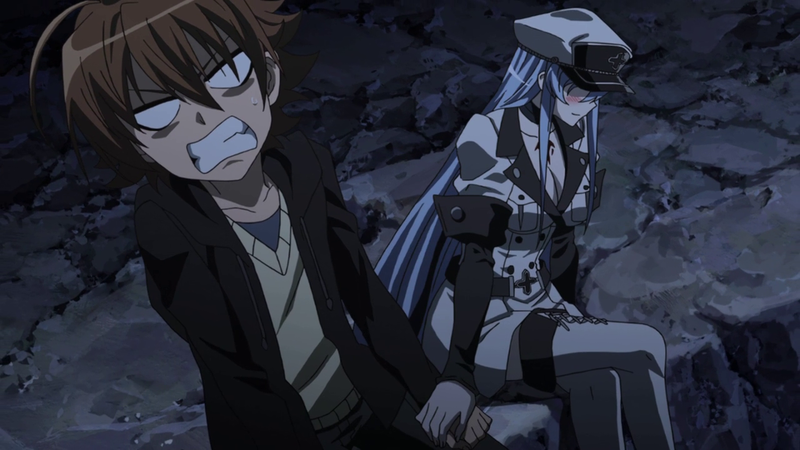 Each week, I found myself looking forward more to this show than any other anime with the exception of Akame ga Kiru. 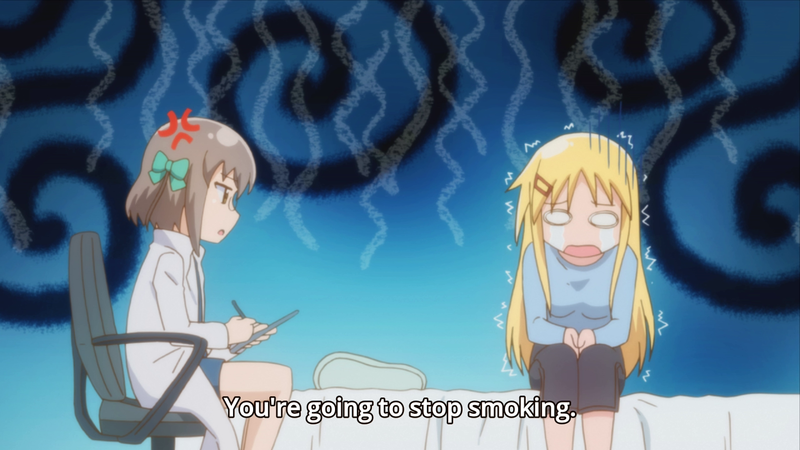 An accomplishment which reminds me of Tonari no Seki-kun. Were it not for the creator’s obvious love of medieval history, this show would have merited a slightly lower rating. It had many problems, ranging from certain scenes displaying poor CG animation to Tigre transforming from a dynamic and interesting character to a dull harem lead. His archery became boring to watch too as every arrow never failed to find its mark–there needs to be some uncertainty to create suspense! Also, the hole in the center of the knights’ helmets annoyed me to no end–almost as if they placed a bull’s-eye on their helms for Tigre to hit! Nevertheless, the characters, intrigue, and battles made up for these defects. If only they had improved on Tigre’s character, this show might have been better! This show could have become a classic. It had plenty of originality and great characters. 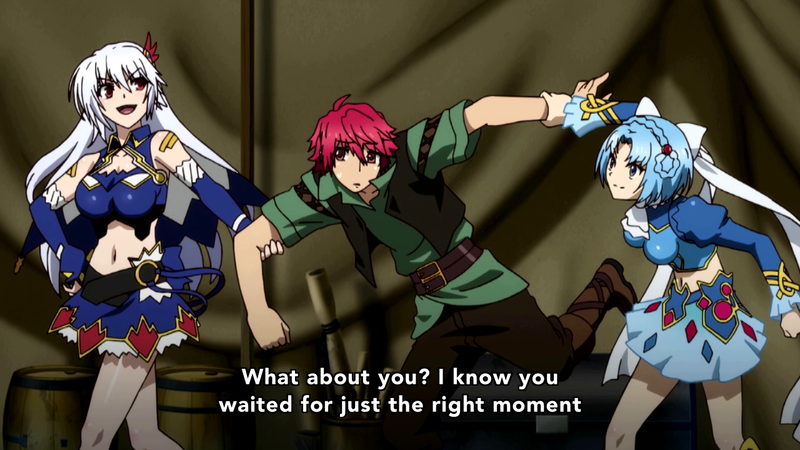 The only show more quirky than it this past season was Shingeki no Bahamut. Resorting to a deus ex machina for the ending is probably what keeps me from giving it a slightly higher rating. Best expression of stunned surprise in an anime ever. But, considering what happens at the end, I cannot blame them in the least! But, it did boast some great characters. If I were to create a top five characters list for this season, Akari and Frederica would both find themselves on it. 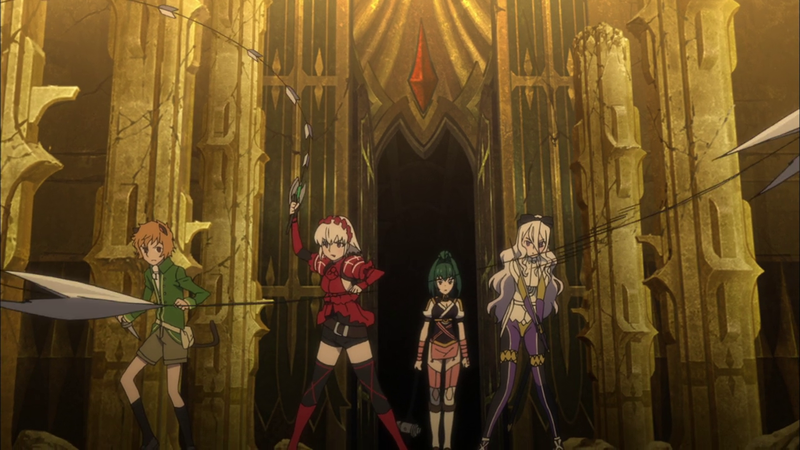 Red Chaika was not so bad either, but Akari and Frederica stole the show. 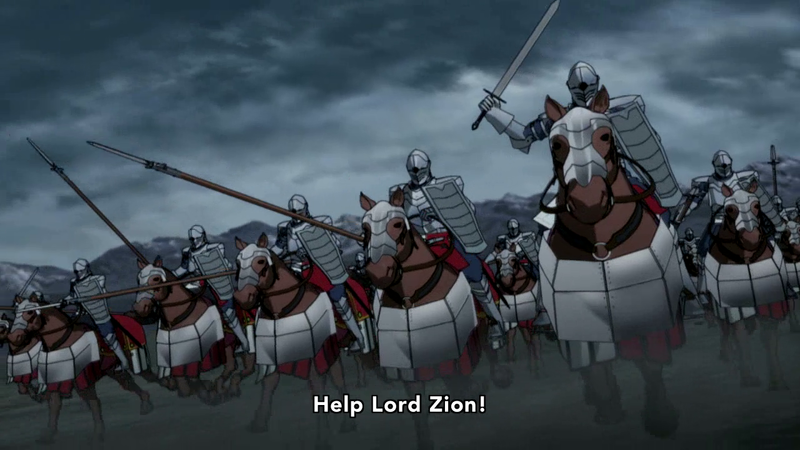 As an aficionado of the manga, I started watching this show hoping to see a masterpiece. However, the anime suffers from a grave defect: it does not adapt the story convey the mood of the manga in the medium of anime. When reading the manga, one does not have the impression that it means to be The Game of Thrones of manga. It is more like the series Combat!! (probably the best WWII TV series ever made), where the fortunes of war may turn against any particular character but the deaths always come out of the blue. A hundred death flags do not pop up before a character kicks the bucket! Also, the manga is much grimmer, though there are certain parts of the manga which I was happy not to see again. But, not fitting the story to the medium seems to be a ubiquitous problem. Studios feel like success is sure as long as they don’t deviate from a successful source. 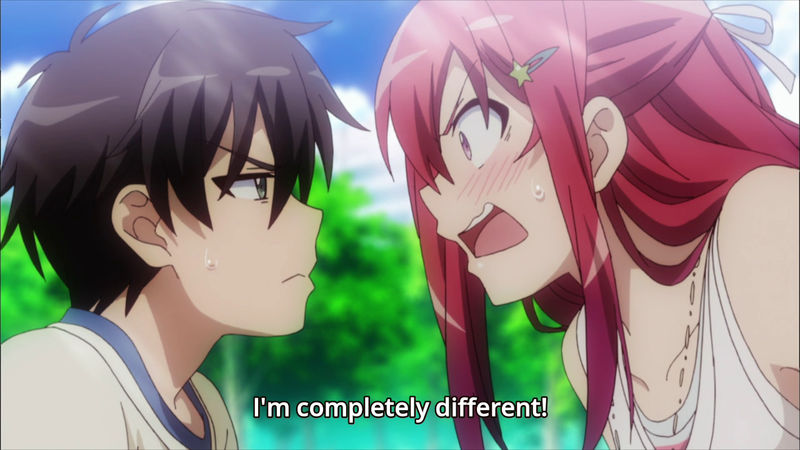 Occasionally, this is true, as with manga like Inuyasha and Rurouni Kenshin, but these are exceptions to the rule. Gokukoku no Brynhildr failed because they thought that they could animate the manga panel for panel. 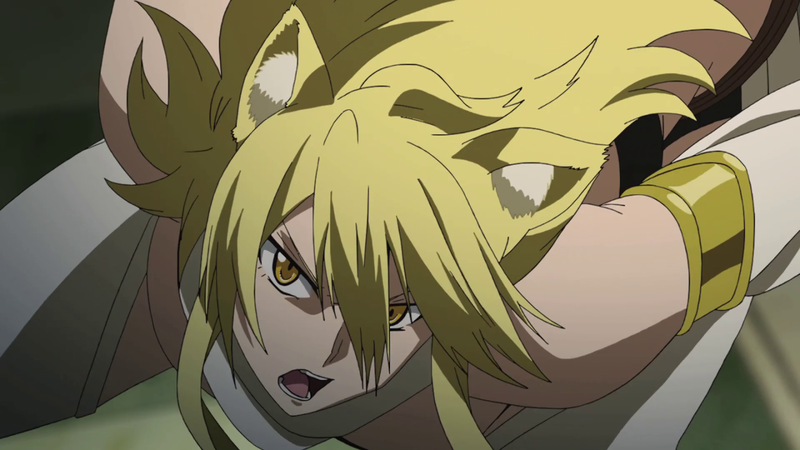 The writers of Akame ga Kiru were forced to deviate from the original source for the last several episodes, and the results were rather pleasing–especially the last two episodes. 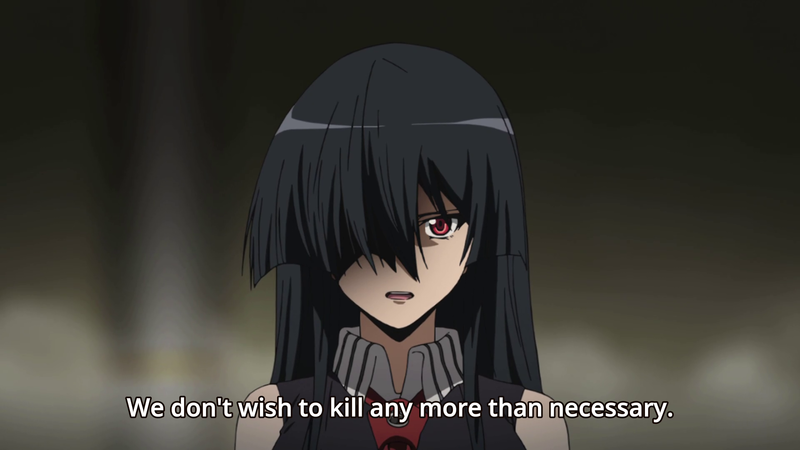 For all that, Akame ga Kiru was a lot of fun to watch. The voice actors were well chosen, and certain fights were great. 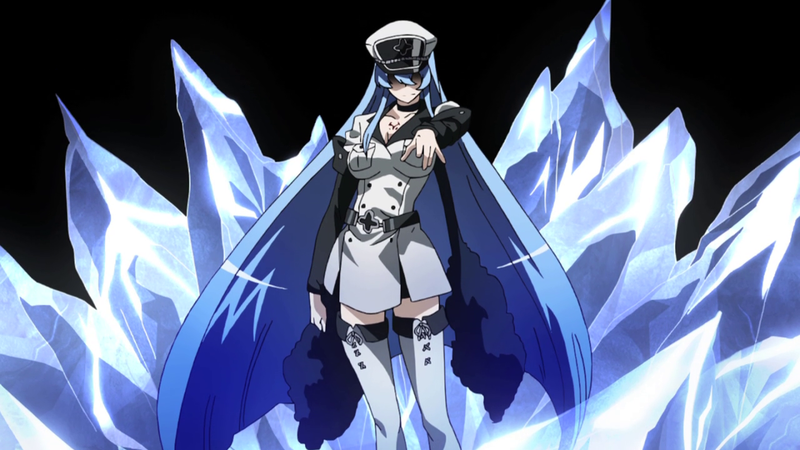 The fight between Akame and Esdeath has to be one of the ten best anime swordfights I’ve seen. The ending was also more satisfying than most other shows. Here’s the only show from 2014 to earn four and a half stars from me. 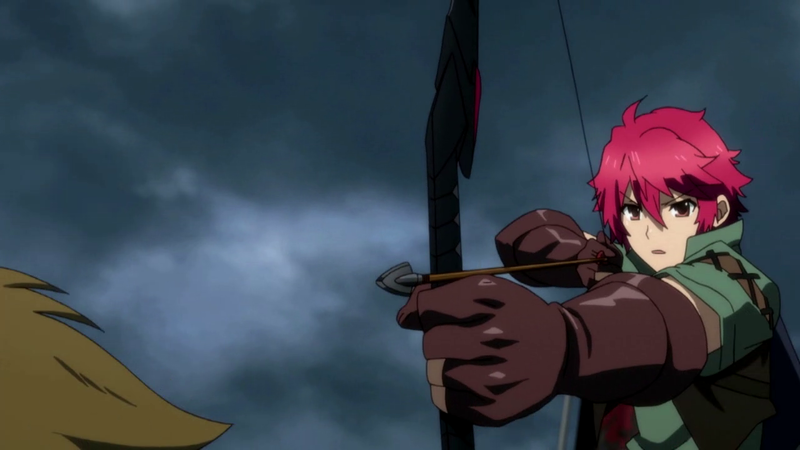 Shingeki no Bahamut boasts a shocking amount of originality for an anime based on a card game. Despite the heavy use of pagan symbolism, many of the show’s themes convince me that this was a Christian fairy tale. My dear readers have already perused one article linking the show to the Christian worldview, and I have another in the works. The first draft of the upcoming article even mentions two works by C. S. Lewis–one fiction and one non-fiction. Fans of C. S. Lewis are welcome to guess which two works these are. One of them happens to be perhaps the least popular work he wrote after his conversion. 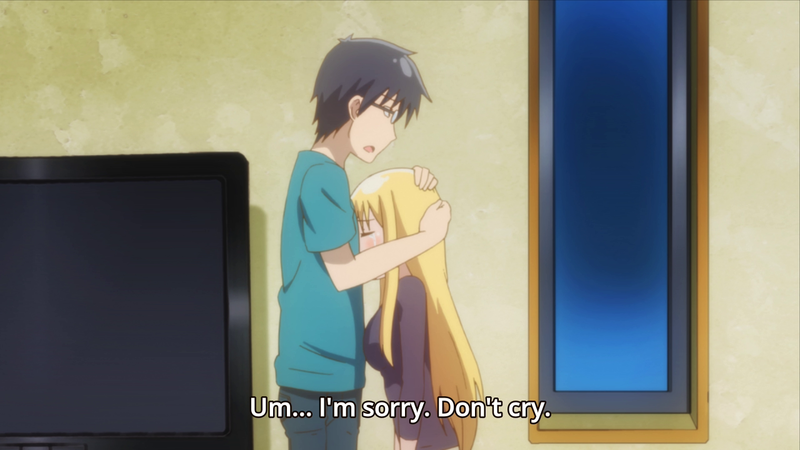 This anime excelled very well on all levels. It just lacks some nebulous quality which prevents me from giving it a full five stars. You’ve truly deprived yourself if you have not watched this show! 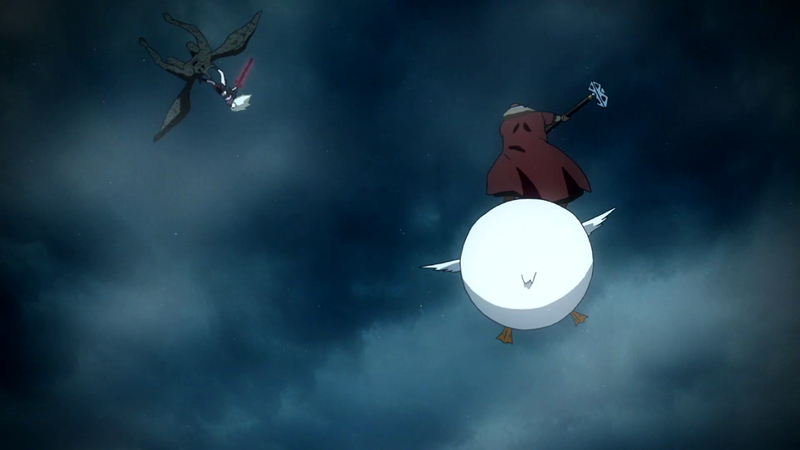 Yes, that’s Bacchus riding upon a magic duck. This entry was posted in Anime and tagged Akame ga Kiru, Akane Tsunemori, Akatsuki no Yona, anime, anime fall season 2014, bad sequel, characters, Christian themes, copying manga, Danna ga Wakaranai, disapponted expectations, Game of Thrones, Hitsugi no Chaika, I Can't Understand What My Husband is Saying, Inou Battle Within Everyday Life, Madan no Ou to Vanadis, poor adaptations, Psycho-Pass 2, sensitive shows, Shingeki no Bahamut, supernatural powers, Sybil System, too many flashbacks, Tow Ubukata. 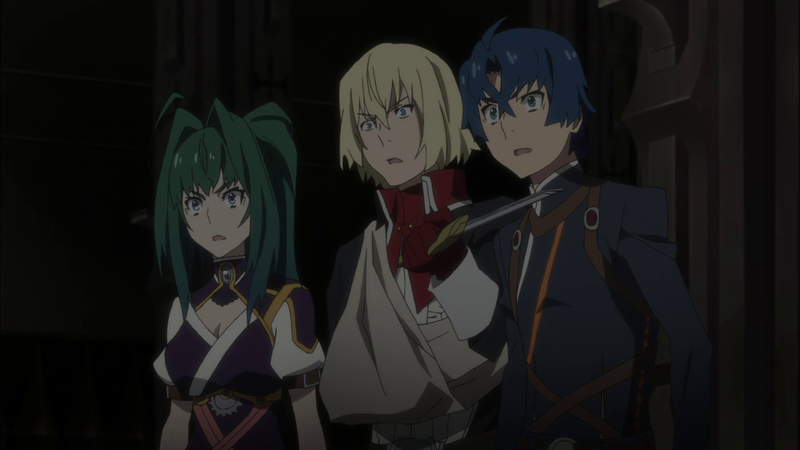 I watched the first four episodes of Bahamut and felt it was well-executed, but somewhat forgettable (reminded me too much of my viewing of season one of Korra, namely that I don’t particularly care for western animated television, which is how Bahamut particularly felt). Does this change as the series moves on, or would you say it felt rather consistent? If it was quite consistent, I’ll either chalk it up to difference in taste or perhaps a let-down in my expectations. If it changed/improved, I may have to give it another shot (though in the case of the first, I may still have to give it a shot some time down the road). I didn’t expect too much from Shingeki no Bahamut and found myself sucked into an entertaining adventure with fun characters. I would really love a second season of this with more of the world revealed. 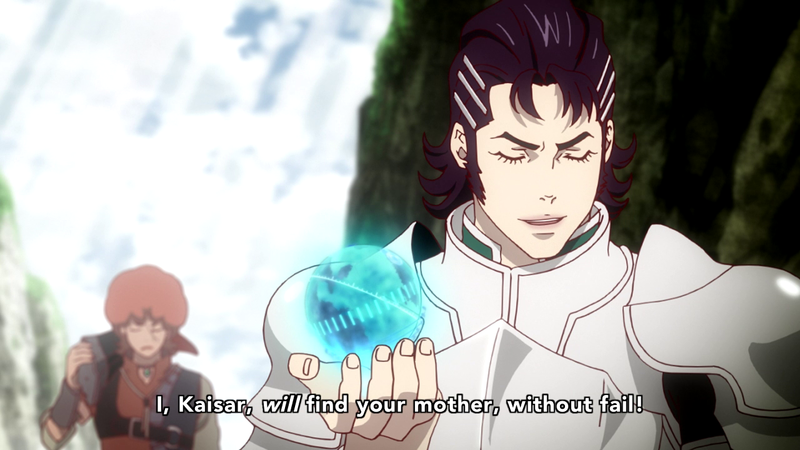 Psycho-Pass 2 was a dull retread of the first but without the great villain. Shogo Makishima was very charismatic and when compared with the moral murkiness of the Sibyl System, he was very persuasive. Season 2 didn’t have that interesting dynamic and the new enforcers weren’t as interesting. 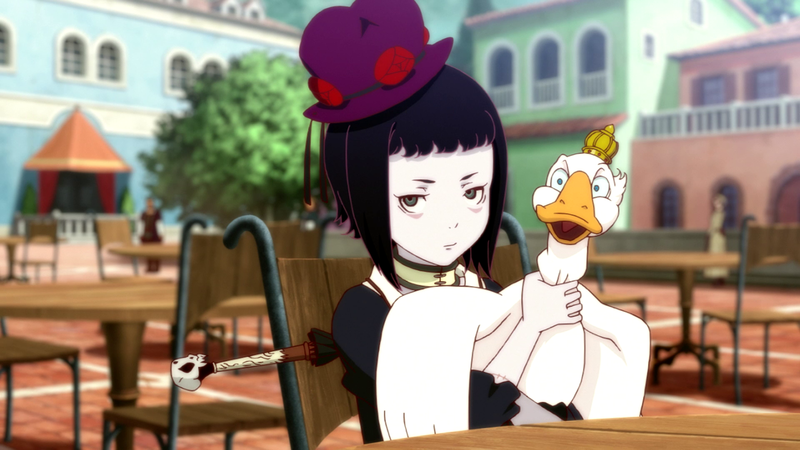 A second season of Shingeki no Bahamut sounds like fun. The only problem is that they’d have to find a way to make the second plot more epic than the first; otherwise, my expectations will be sorely disappointed. It’s like watching Psycho-Pass 2 after having seen the prior season. 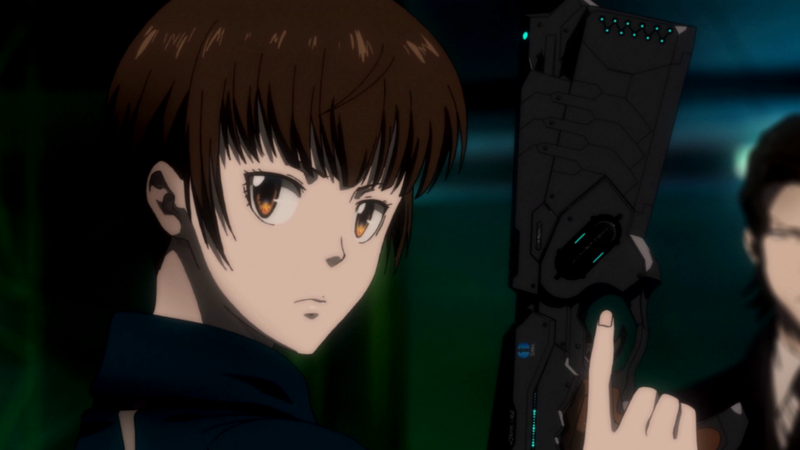 I think that Psycho-Pass 2 had a great middle, but the final few episodes were terribly dull. I thought of several interesting ways the story could go after episode 8, but my hopes were all dashed. 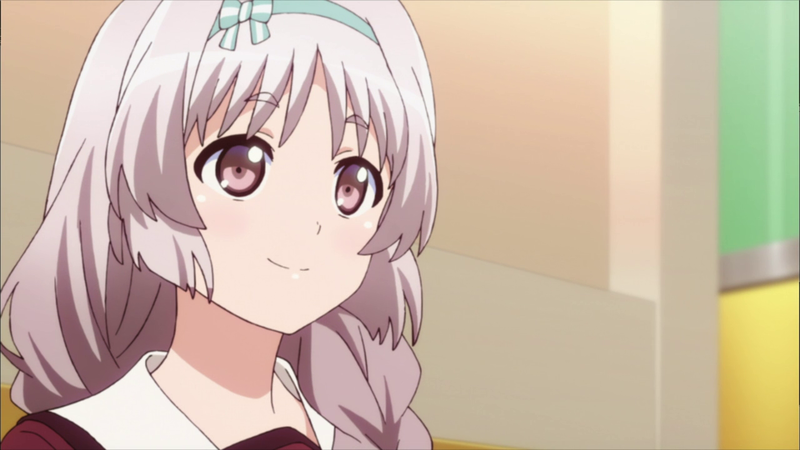 Even Akane Tsunemori, one of the best characters from the past season, struck me as rather bland toward the end. But, I feel as though Tow Ubukata was prevented from giving us a proper ending because of the upcoming movie. I agree that Psycho Pass 2 didn’t live up to its first season. Still, it was entertaining and had some interesting elements going on. I hope the movie is 1st season quality, and I think there might be another season, given how they ended this one. About the Omnipotence Paradox, I would like to give my two cents. I think it all comes down to the definition we give to omnipotence. If it is to have the power to do anything at all, to be almighty or infinite in power, then no being can actually be omnipotent. Why? Well, the paradox here does provide a good example. If it cannot create something it can’t lift, then it is not omnipotent. If it can create it, it can’t lift it, so its not omnipotent either. You said that the fact that it can’t create a stone too heavy it cannot lift, proves its omnipotence. But this would only work if we redefine omnipotence. With the definition of “being capable of doing everything”, nothing can be omnipotent. If God cant create that stone because that stone can not exist because of God’s omnipotence, then God would be omnipotent only between the limits of certain logic, in which there are some things that can’t exist, and even God can’t create, thus making him not omnipotent. You’re right. When we say that God is omnipotent, we mean it in a particular way. The Omnipotence Paradox is rather related to the idea that God cannot create a square-circle–that is, a shape which fits the definition of a square and a circle at the same time. A square-circle is a logical or metaphysical impossibility in the same way that a rock so heavy that an omnipotent being could not lift it is metaphysical impossibility. No one claims that God can do things which are metaphysically impossible, because these things are incapable of existing. But, God is capable of doing all possible things, which is what we mean by omnipotent. St. Thomas Aquinas defines God’s omnipotence much better than I do. 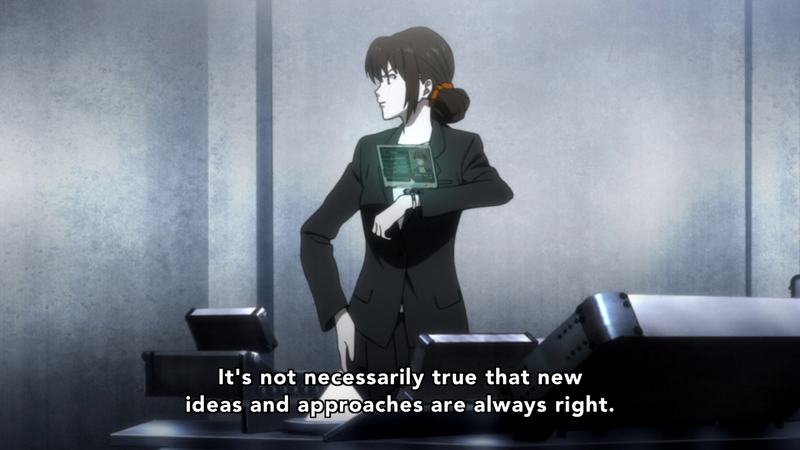 In any event, the example Psycho-Pass gave irked me because it seemed to demand omnipotence and omni-impotence at the same time for God to be omnipotent, which breaks the fundamental rule of logic: the law of non-contradiction. 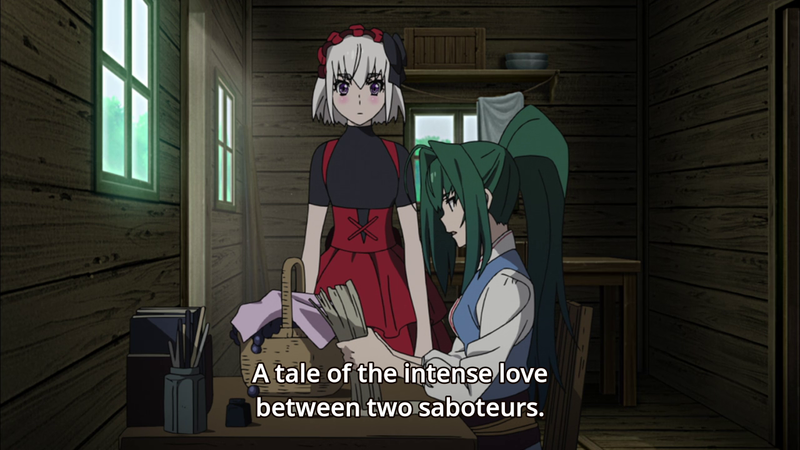 But, a fun show all the same, and Akane’s solution–despite its illogic–reflected what the Sybil system did at the end.